·Loose clothing for work. No belts. No jeans. ·Up to 20 lines of a memorised text that has meaning for you. This can be a poem or a dramatic speech from any period. 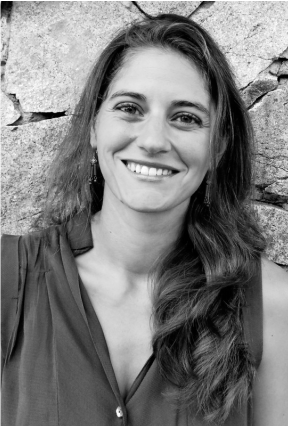 Alyssa Ciccarello is a voice, speech and communications coach based in Barcelona and New York. She holds a Bachelor’s of Fine Arts in Theater from Tisch School of the Arts, New York University and is a both a Designated Linklater Teacher and a Colaianni Phonetic Pillows Practioner. She has been on the faculties at several graduate and undergraduate programs including New York University, Actor’s Studio Drama School at Pace, Fordham University in New York and Kadir Has University in Istanbul. She served as Head of Voice and Speech at the renowned Meisner conservatory Maggie Flanigan Studio in Chelsea from 2010 to 2015 and continues there as a visiting instructor. In Barcelona she has taught phonetics for voice instructors at the Institut del Teatre as well as privately-run Shakespeare and text workshops. Her private clients have ranged from Broadway actors such as Norm Lewis (Porgy and Bess, Phantom of the Opera) to executives from advertising and tech companies. She coaches in English, Spanish & Catalan.